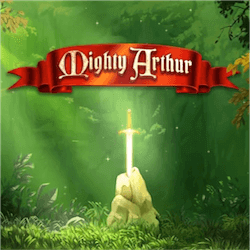 Quickspin have taken inspiration from English legend for their new slot release titled Mighty Arthur. This game is inspired by the tale of King Arthur. With an RTP of 96.94%, this slot offers above average odds but it will need more than that to stand out in the crowd. Quickspin have created a standard 5 reel 20 payline video slot with very smooth and attractive graphics. The expanded symbols look good on the reels and the animation is very fluid. 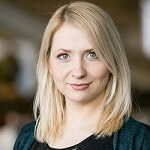 Quickspin has seen a solid output of great slot titles since being acquired by Playtech in 2016. It seems that they may have better resources at their disposal, which has resulted in improved game mechanics in their casino titles. The last slot Quickspin released was the Aztec and Mayan themed Mayanas slot which was quite well met. This new theme may prove to be more popular with Quickspin fans. The recent release of Quickspin’s Fairy Gate may have played a role in bringing this medieval themed slot out now. Daniel Lindberg, CEO of Quickspin reiterated this sentiment by stating that they hope this slot’s theme and storyline will give it widespread appeal. The main characters in this title are the mighty king Arthur who can provide a 3×3 expanded wilds to the reels, the wizard Merlin who can add random wilds to the reels and the lady Guinevere who appears as an expanded reel symbol. Wilds are the main bonus feature of the Mighty Arthur slot. They come in two forms, namely the Arthur Expanding Wild which will only land on reel 3. He can expand further to reels two and four which essentially ensures a win for the player. The Merlin Random Wilds will make an entire reel completely wild when it lands. Up to 6 additional wilds can be added to the reels. There is also a free spins bonus feature where players can win 10 free spins with more being added if you retrigger the bonus feature during the free spins round. This slot makes all the right moves to attract player’s attention. It looks great and has an engaging atmosphere but fans who are expecting innovation or surprises may be disappointed. Mighty Arthur is definitely a solid experience with good bonuses and the wild-based features are very rewarding when they hit. The novelty of the theme just might not last as long against the current slot competition.